I love a DIY wedding! There is nothing better than doing everything yourself, getting it the way you want and that is exactly what Verity and Rob did. They called on all their friends and family to help make, decorate and assemble everything! 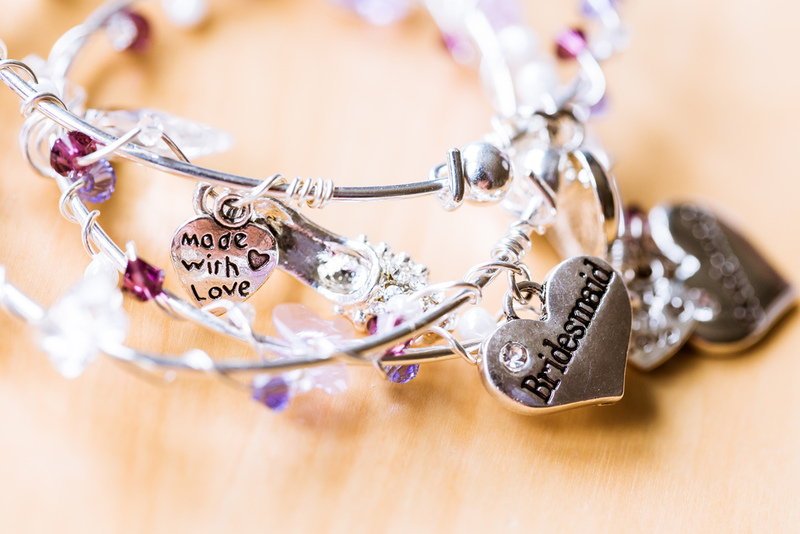 Their wedding was held in the little quintessential village called WoodChurch in Kent, Verity was getting ready at her childhood home surrounded by her all her bridesmaids and close family. Before I got to Verity in the morning James and I met where the reception was being held just down the road. The day before verity, rob and a large group of their best friends and close family converted a small village hall into a stunning wedding venue, draping all the walls and lighting the place beautifully with purple uplighters and fairy lights. We quickly assembled my brand new photobooth ready for the guests to have fun with later that afternoon! After this I left James with all the guys help them finish setting up and to shoot all the little details of the day. When I arrived to photograph bridal prep I was met with complete calm and tranquillity which tends to be a bit of a rarity, to continue this I started off photographing the detail and getting everyone comfortable with having a photographer around, once verity’s makeup came to fruition I started to document the day working around everyone in the room can sometimes be a challenge, but I try not to disrupt anything or create any moments as I feel these lose the emotional connection. Meanwhile James had made his way to where the guys were getting ready. He works the same way as I do, capturing the details of the suits, shoes and accessories the guys may have before moving on to document the final parts of the groomsman getting ready. Next was the ceremony held in WoodChurch’s Church, by having two photographers we were able to document the ceremony from a large variety of angles without being obtrusive or obscuring anyone’s view for a prolonged period of time! Due to our professional lenses and cameras photographing the ceremony in a dark church is not a problem at all! To give their guests some time to get away, grab a drink and make themselves comfortable we took the time to photograph some portraits of the both of them around the church. After 10minuites we all made our way to the hall where they were greeted by all the guests! As Verity and Rob opted to not have a sit down meal and instead had some of the best Mexican food I have EVER had they decided to have the speeches just after they arrived. Their best men and I unshed everyone forward and into the centre of the hall for them to begin. 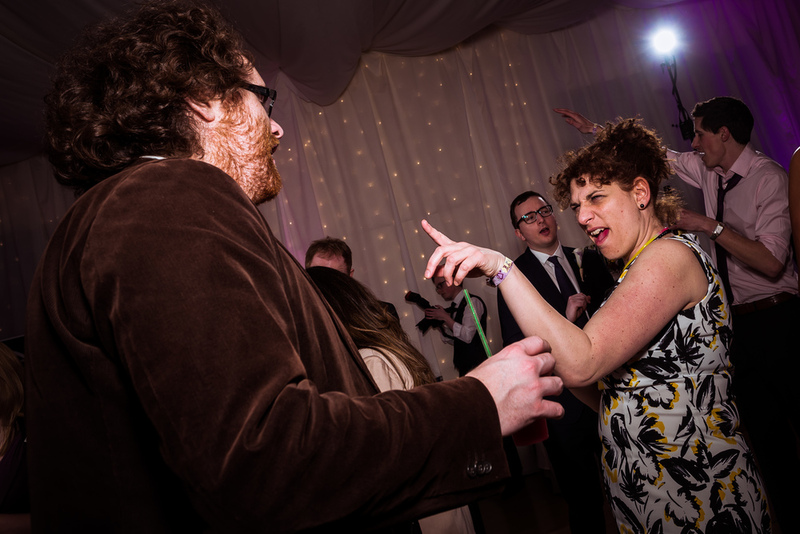 Having two photographs really helps here, James was able to capture the reactions from the bride and groom and whoever was talking where I gained a height advantage and captured guest reactions from the fun and laughter to tears. I love to capture the mood of the day by using the guest’s reactions and emotion, this requires being a bit of a photographic ninja where I have to capture a reaction before they notice me! As guests were waiting to grab a fajita of burrito I had a short amount of time with Verity and Rob, we jumped in the car and drove around the corner to the windmill that overlooks the whole of WoodChurch, while the sun was setting we quickly marched up the hill to capture some stunning photographs, on the way back to the car we were fortunate enough to capture a few more images with the remaining evening light. We were all back at the hall before anyone had realized we had left! Once everyone had stocked up on some spicy food it was time to slip on the dancing shoes! Verity and Rob were up there first to show us how it was done quickly joined by their close friends and family. I love the uplighters in the background they really help add some vibrant colour into the scene a great way to include colour into all your photos! The evening reception I feel is one of the best times of the day, this is why I always stick around for a few hours, you can really capture everyone with their hair down! 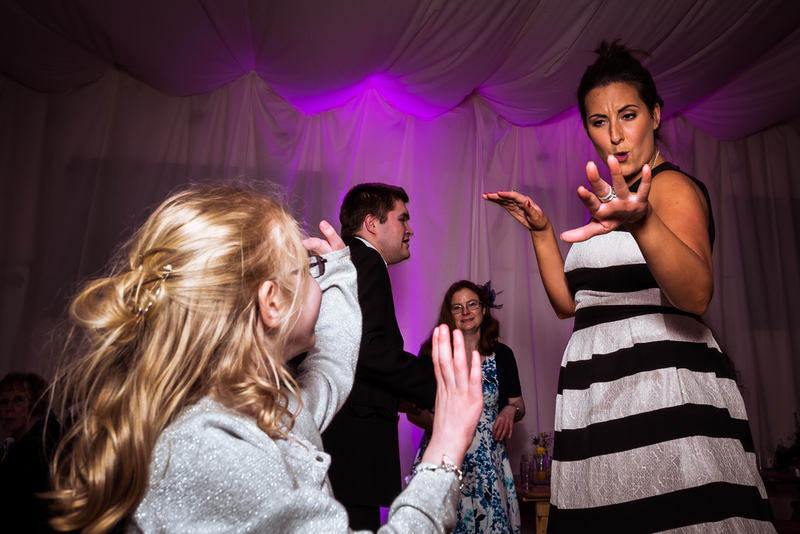 I love capturing the life and soul of the party! To finish it all off everyone popped outside for a few minutes for some fireworks! 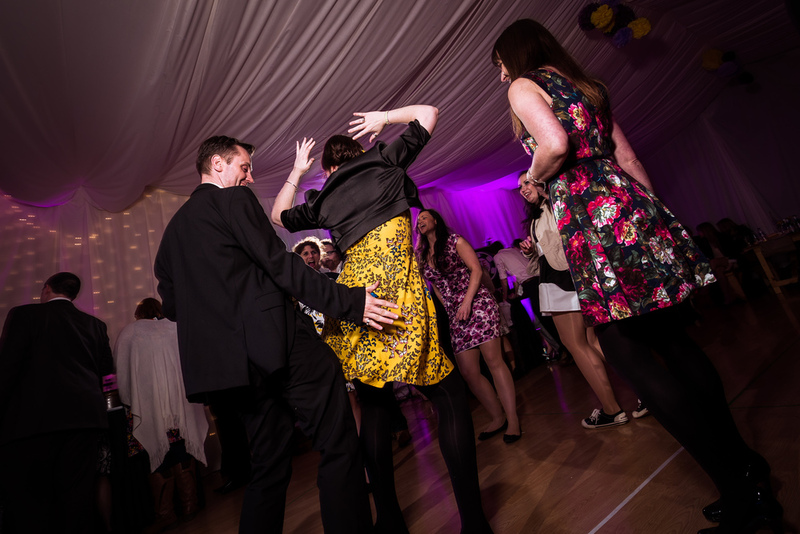 Verity & Rob had a second shooter and Photo booth and received over 1000 individual images.